Are products manufactured in China good enough? First the bad news. Everything is manufactured in China. The entire consumer electronics industry silently closed all assembly plants in North America and Europe in the last 10 years. Today more than 95% of this products are manufactured in Mainland China, whether it’s Apple or Dell or HP or Cherrypal or Amazon or Epesitec, they all assemble in Shenzhen, about half an hour by train from Hong Kong. Since all products (phones, tablets and laptop computers) are manufactured in China is there any difference in quality? Overly simplified it very much depends who designed the products and who is watching the assembly/manufacturing process. Chinese manufacturers usually design their products for the local market, with very little consideration or understanding of the quality and usability expectations in North America and Europe. Believe it or not, the average Chinese consumer has very little appreciation for product quality. The only buying criteria is price. That’s also the reason for the incredible low prices for authentic Chinese consumer electronic products on eBay and other sites – low price – low quality – delivered as promised. Well, differences in design are very obvious to the consumer. What’s not that obvious are guidelines how workers are treated and how environmentally friendly the assembly/manufacturing process is handled. Some Chinese contract manufacturers are famous for burning out their workers and polluting the environment at their discretion. Workers usually don’t speak up. There are hundreds of millions of Chinese farm workers waiting to get a better paid job in booming Shenzhen. Companies like Apple and others are facing a lot of questions from the public. The true reason for the miserable working conditions is not related to cost pressure at all. The average factory worker makes about $100 a month and most factories actually employ too many workers due to generous government incentive programs. The root cause of the problem is poorly trained management and lack of interest to make the necessary changes. 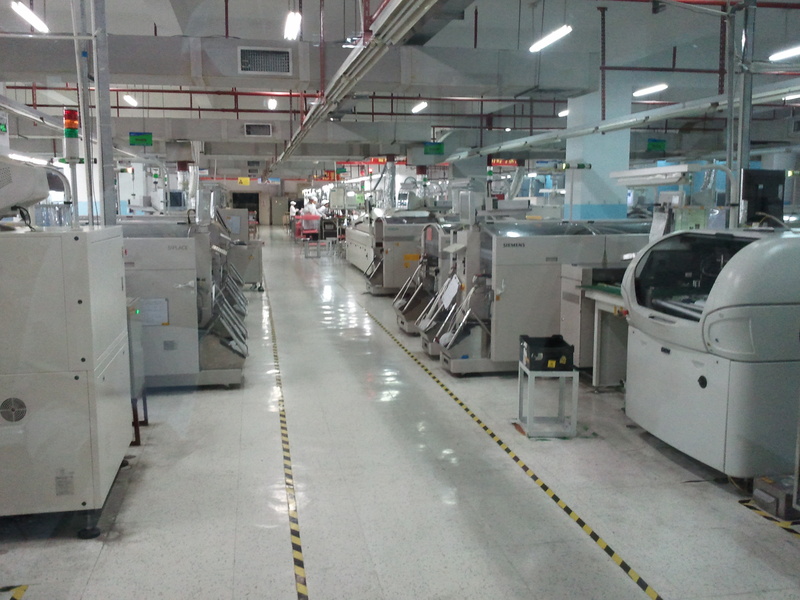 Epesitec is an ODM (Origninal Design Manufacturer), headquartered in the States, with assembly facilities in China. Like Apple, Dell, HP and the other major brands the products are designed here in the States and manufactured in Mainland China. Epesitec though is not a consumer facing brand, it designs and manufactures products that are branded by mobile phone carriers and others. The more quality controls the lower the cost. Poor quality is not good enough and causes costly return and replacements. Treat workers well and with respect, enforce breaks, provide incentives and benefits, no physical punishment. Minimize exposure for the environment, use less energy, less waste, think now so you don’t have to pay later. Now the good news, manufacturing locally, I call it “homemade tastes better”, is not just possible, it’s even desirable. Epesitec started with assembly/manufacturing in Mainland China like everyone else, but there is ample proof that placing assembly as close as possible to the engineering and design process will increase product quality with very little impact on cost for finished goods. Epesitec will start with “Made in America” assembly in 2012, improve product quality even further and keep cost low. Ironically most politicians are not very interested in manufacturing jobs locally, go figure. Ever wondered why next to nothing is manufactured in North America anymore? If cheap labor is the only criteria why is nothing manufactured in Africa, for that matter. Will share more another time. The New Good Enough Mindset Sudden death of smart phones and laptop computers in 2012? What comes after the $99 laptop revolution? Sudden death of smart phones and laptop computers in 2012?